Among old favorites on sale this month, Marisolio is also featuring its newest olive oil: Olive Wood Smoked Olive Oil. Savory notes of smoky olive wood are infused with the highest quality, fresh extra virgin olive oil to make our Olive Wood Smoked Olive Oil. 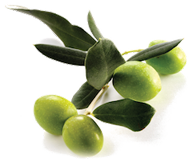 Our smoked olive oil is all natural with no artificial ingredients, preservatives or refined carrier oils. The flavor of olive wood smoked is close to that of oak wood smoked. In Andalusia, Spain, oil wood is commonly used for grilling fish, poultry, meats, and vegetables. Use in potato salad, marinades, over poultry, in sauces such as BBQ, brushed on grilled meats, with vegetables and even pasta. Pairs well with Lemon White Balsamic, Pomegranate Balsamic, and Neapolitan Herb Dark Balsamic. 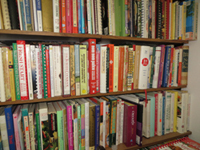 October 7: First Ever Cookbook Giveaway: I’ve been purging cookbooks from my collection and sooo…….for every bottle of either olive oil or balsamic condimento you purchase, you can select any book of your choice FREE!! All you do is show me your receipt and then you select your books. It’s a win-win. You get something and I am able to down-size my collection of cookbooks.